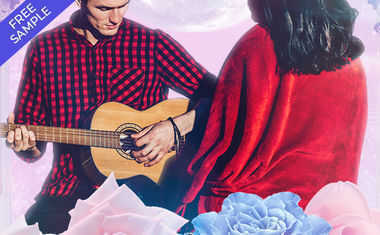 Romance goes from dreamy to stressful to dreamy again this week, so you'll want to know when to dance the night away, and when its best to stay out of trouble. See what's in store for you personally with a Horoscope Tarot reading, and here's the lowdown on the key cosmic events the week of Jan. 26 to Feb 1, 2015. On Tuesday, love planet Venus will enter Pisces, where she'll remain until February 20. With Venus in Pisces love will become mystical, spiritual … and even blissful. Here, there is true potential for that soul-mate union and unconditional love experience. You have every opportunity to dive deep into the sea of love with someone special, and to enjoy every drop of heaven you're capable of experiencing with another person. On Wednesday, Mercury Retrograde in Aquarius will sextile Uranus, which will help you revise one of your recent brilliant ideas until it is polished to perfection. On Friday, Mercury links up with the Sun, adding even more luminosity to your thoughts. Mars will also sextile Pluto. You'll have the power to push ahead with any goal if you lead with your heart and your intuition. On Friday, however, Venus will square off with Saturn in Sagittarius, and you may feel as if your romantic dream has been interrupted by reality. An obligation or harsh circumstance might threaten your fairy tale. Fortunately, Venus will conjunct Neptune by Sunday, and everything will come up roses.